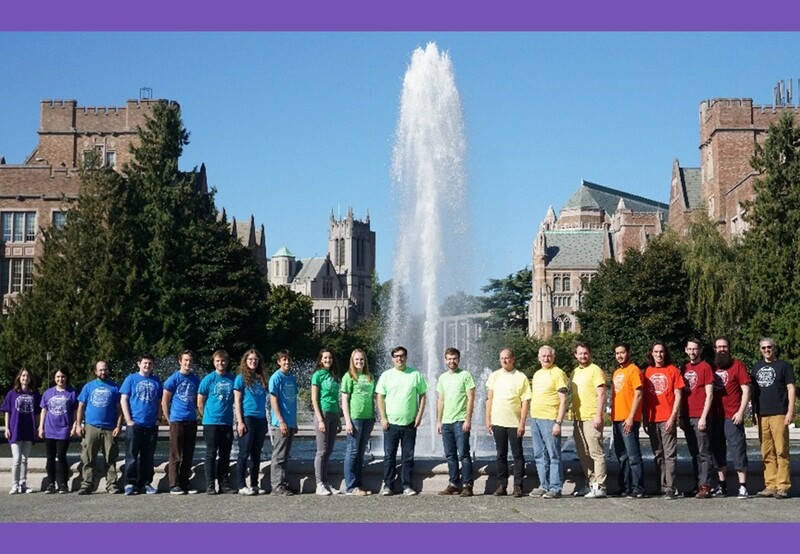 The Gamelin group is a research group in the Department of Chemistry at the University of Washington. 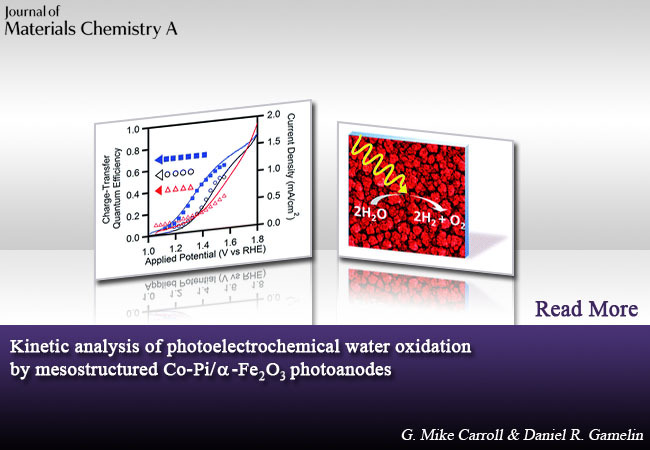 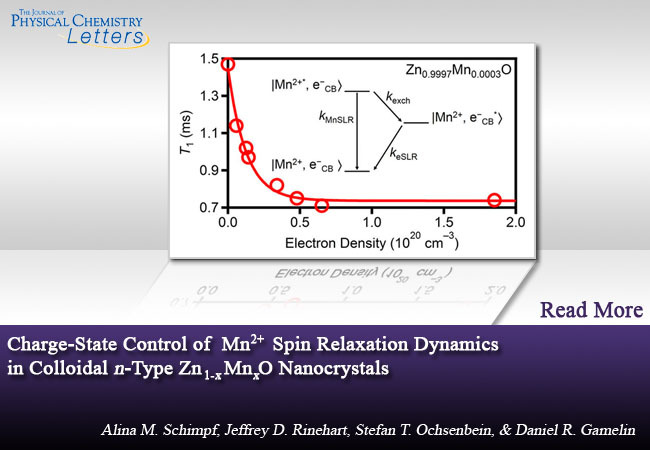 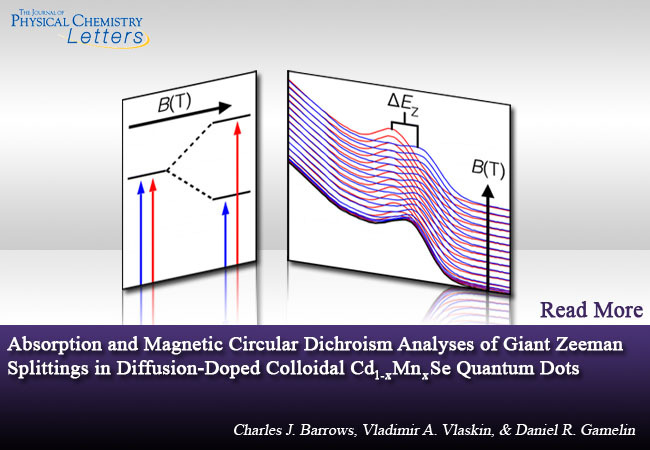 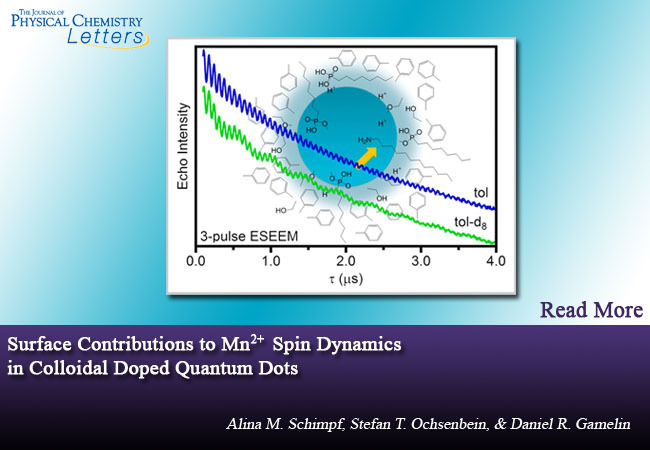 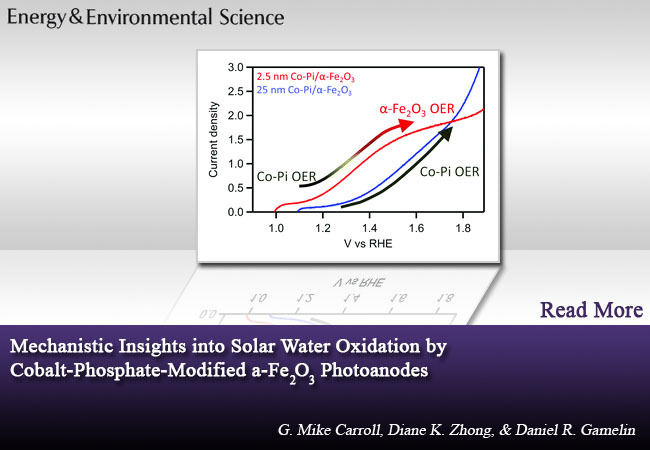 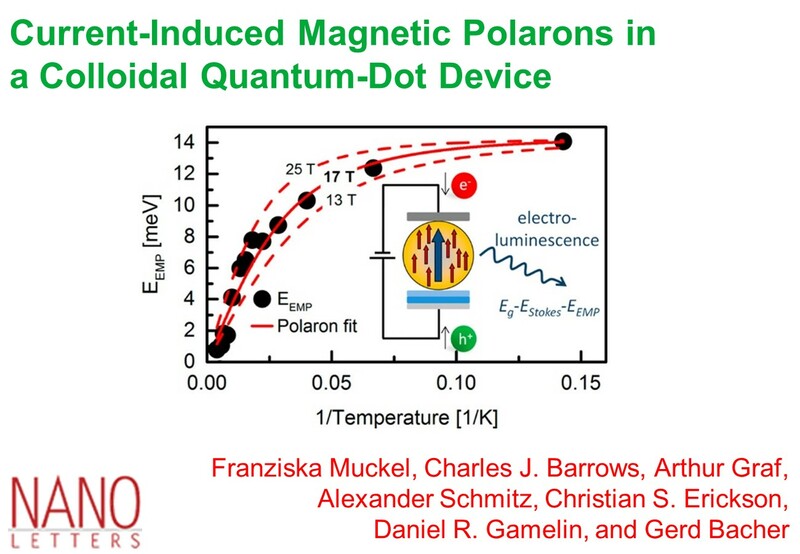 Our research targets the development and physical characterization of new functional inorganic materials with unusual electronic structures that give rise to desirable photophysical, photochemical, chemical, electronic, magnetic, or magneto-optical properties. 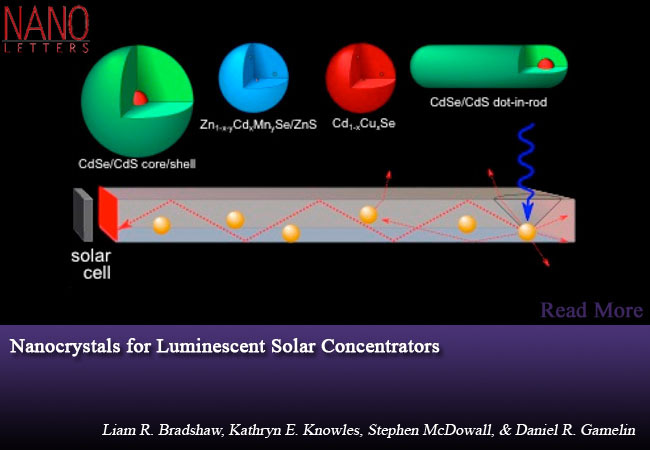 January 2019 Dr. Matthew Smith joins the group as a Mistletoe Research Foundation Fellow. 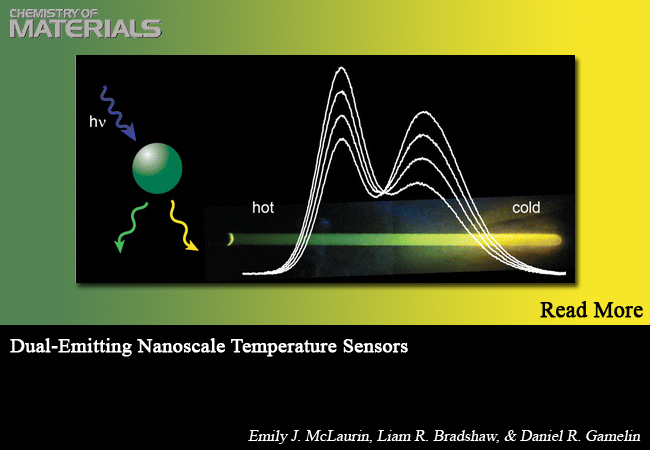 January 2019 First-year chemistry students Atchuthan Gopalan, Laura Jacoby, and Kelly Walsh join the group. 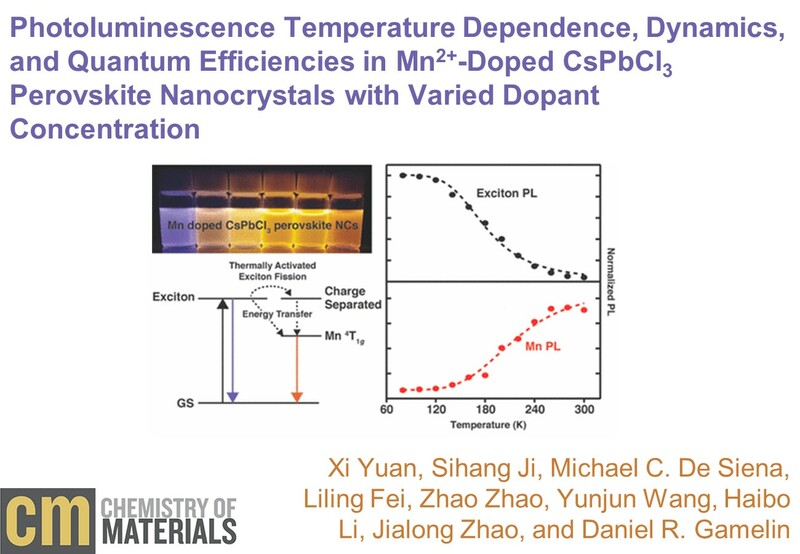 November 2018 New group photo! 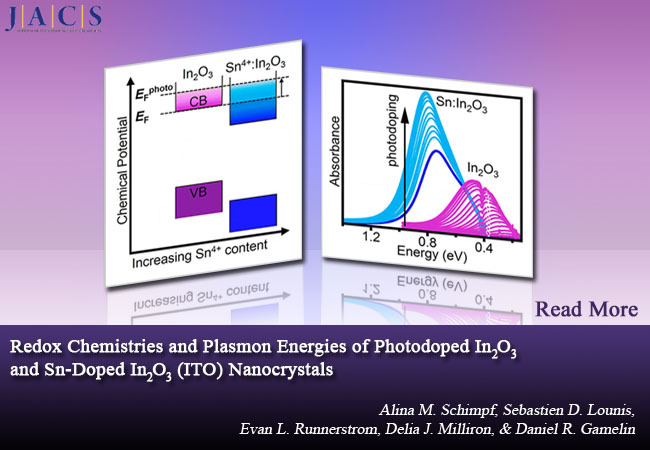 Check out all of our group photos here. 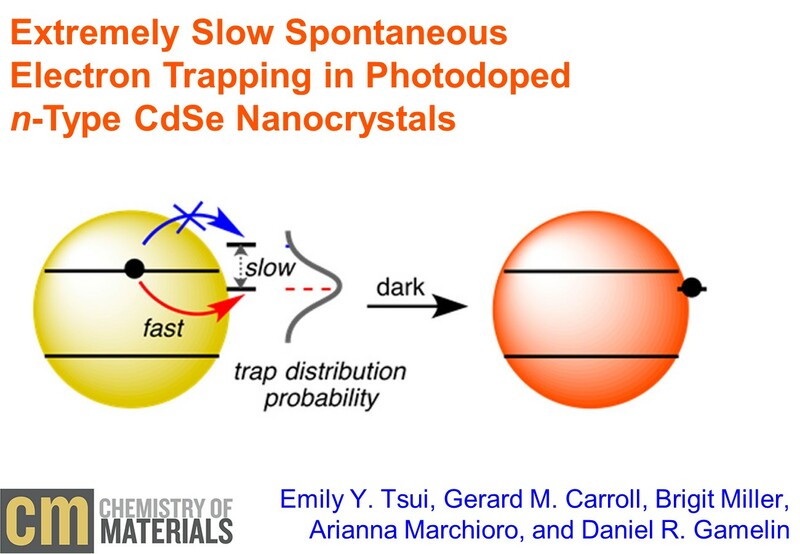 May 2018 Dr. Matthew Crane joins the group as a Washington Research Foundation Postdoctoral Fellow. 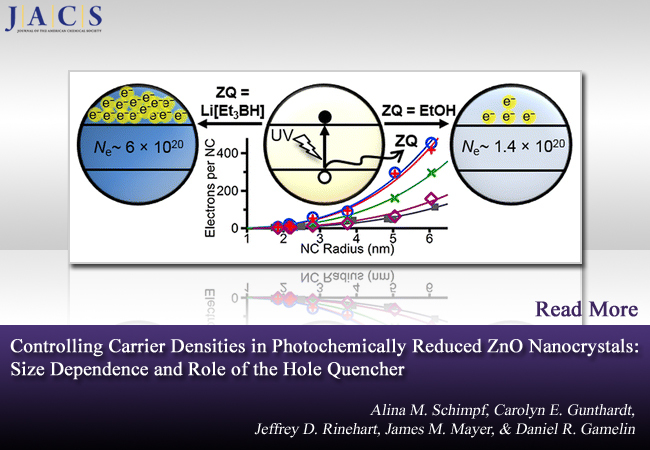 March 2018 Congratulations to Carl on accepting a faculty position in the Department of Chemistry and Biochemistry at the University of Oregon! 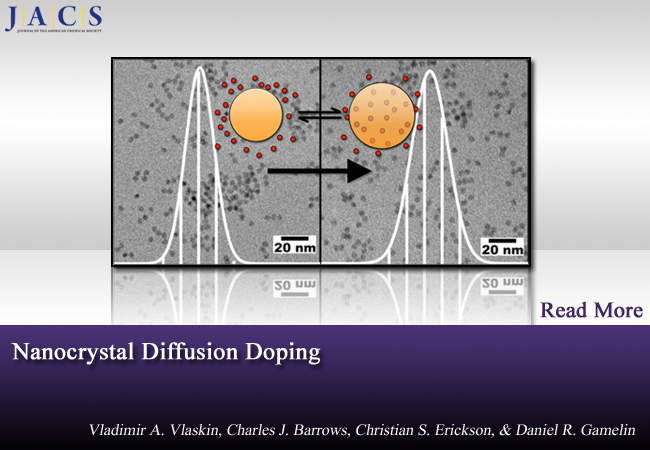 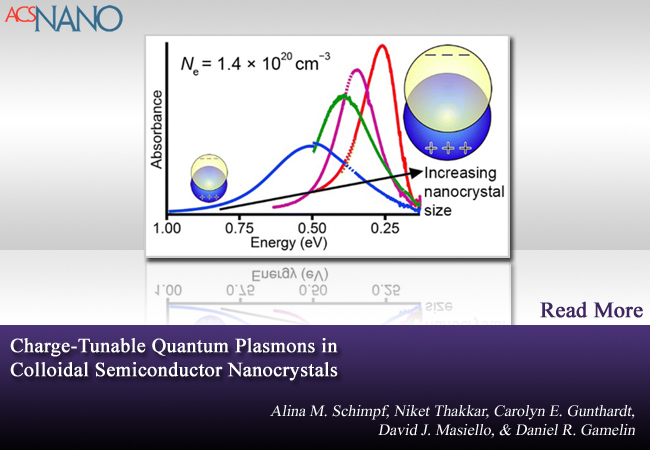 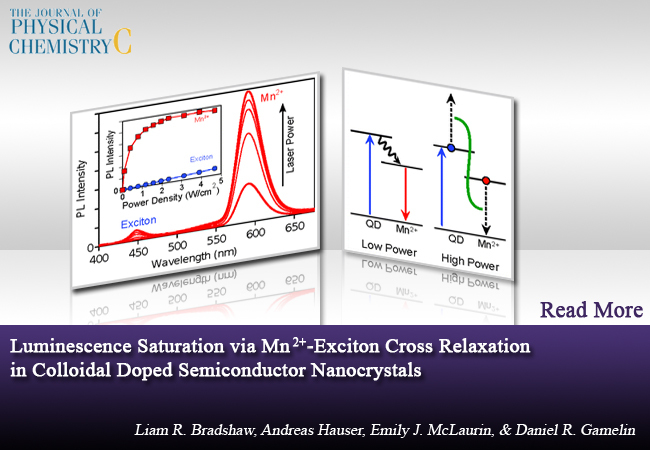 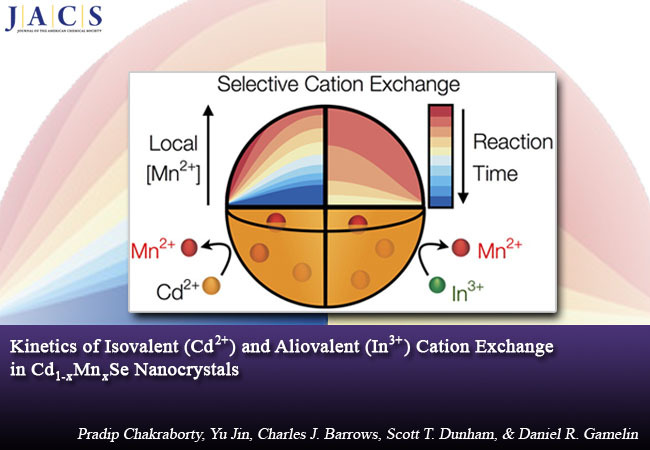 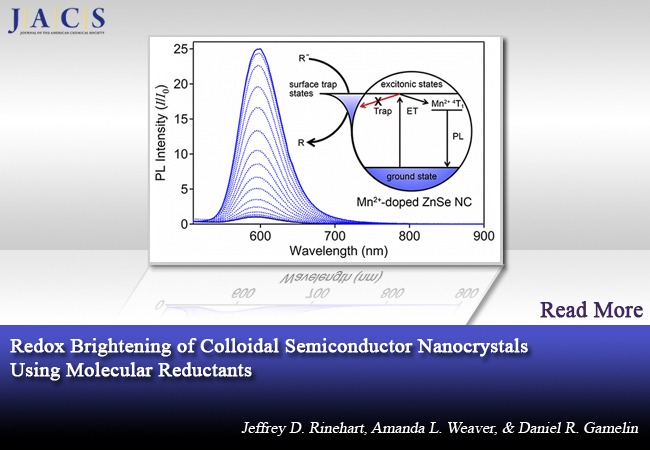 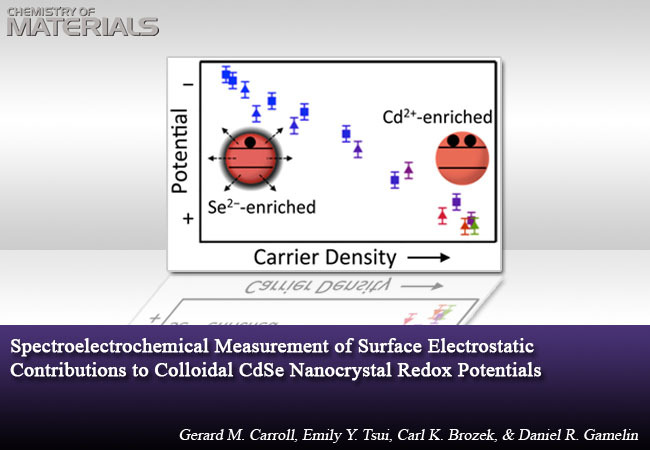 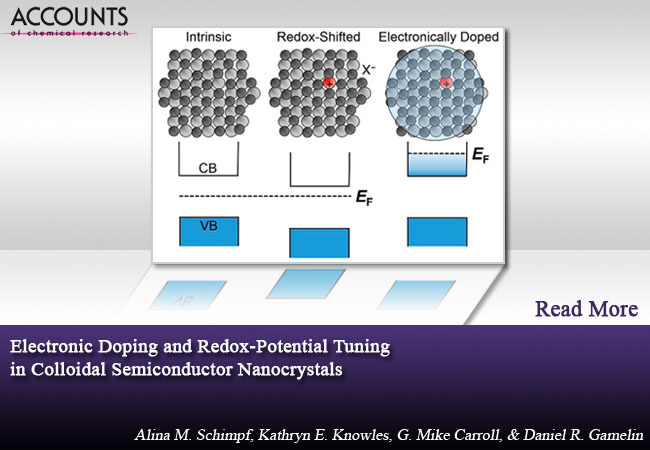 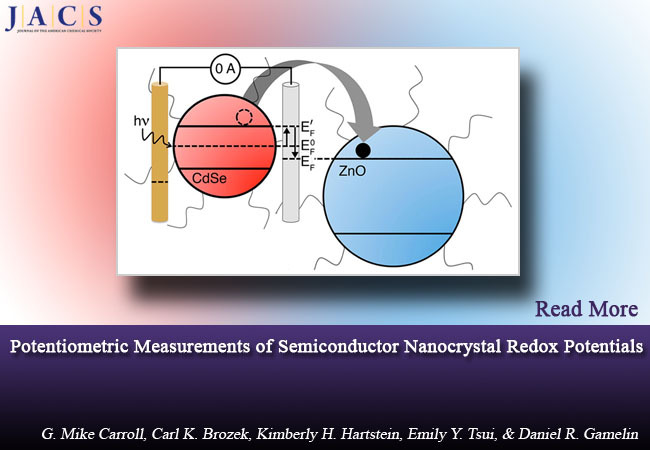 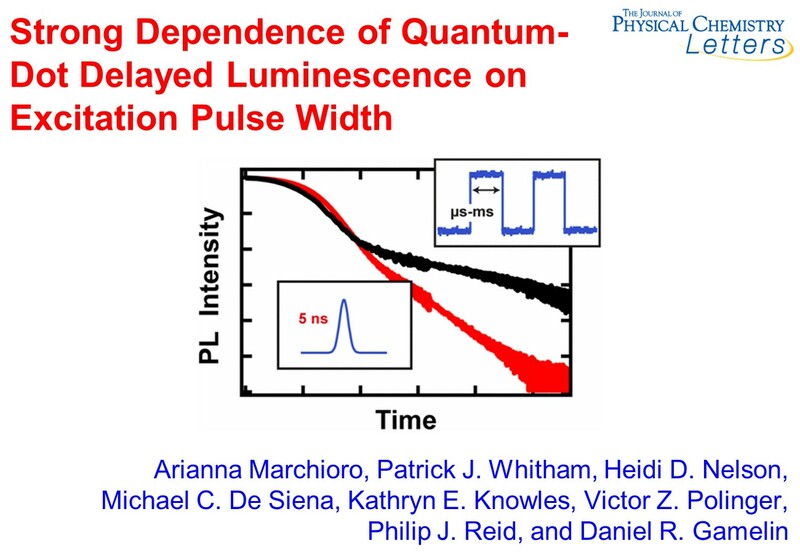 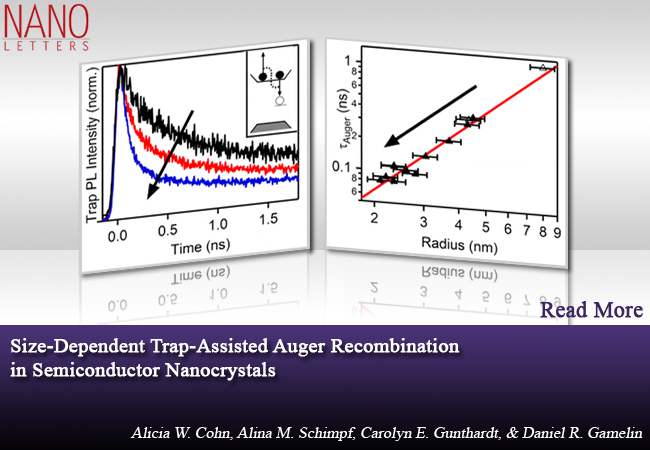 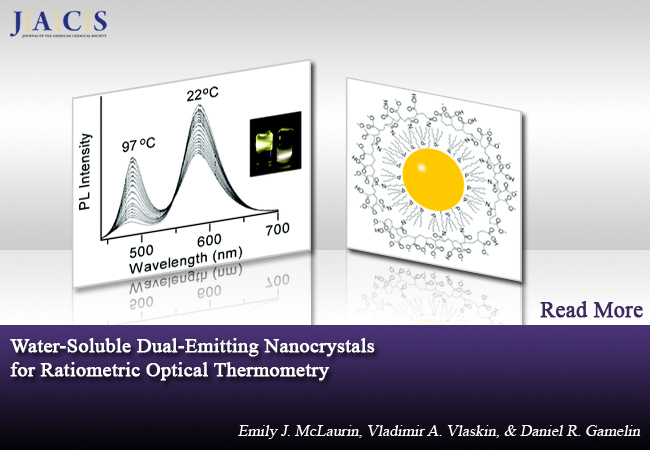 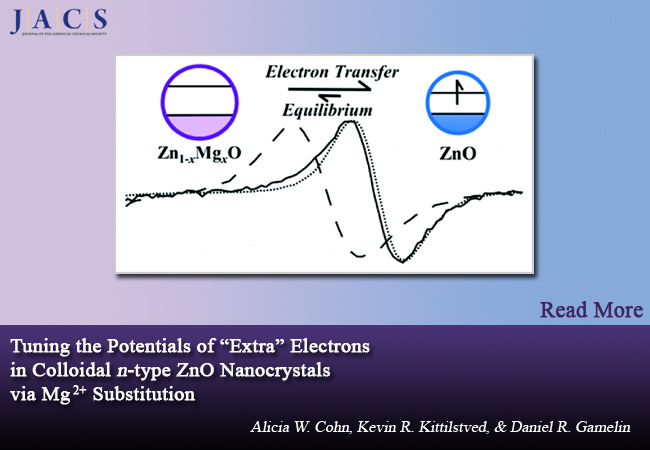 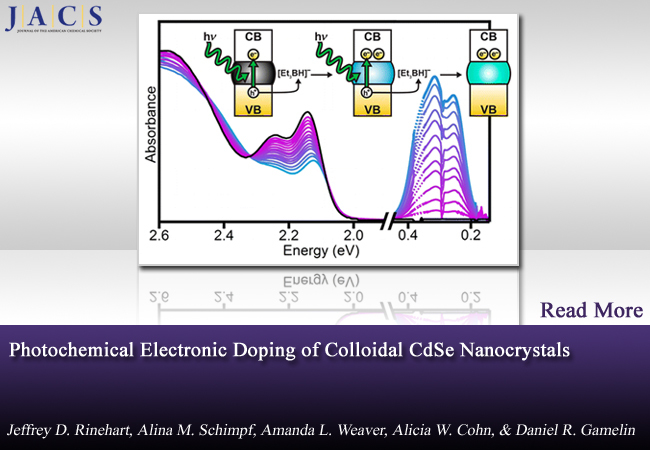 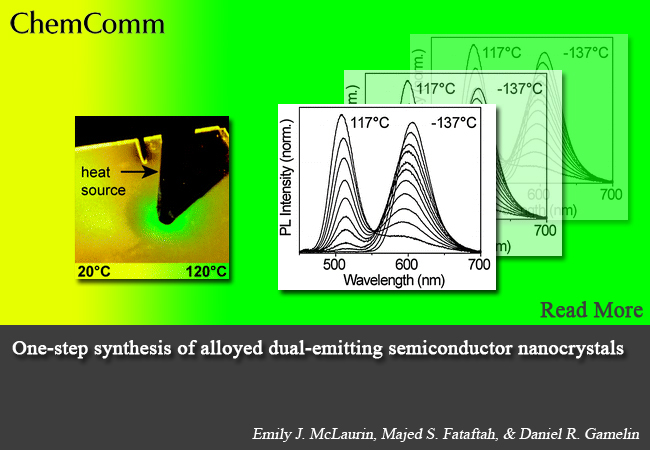 March 2018 Daniel presents on "Synthesis and spectroscopy of nanocrystals of compositionally complex haloperovskite semiconductors" and "Electrochemical measurements of the redox potentials of multiply reduced colloidal semiconductor nanocrystals", and Carl presents on "Measurement and theoretical modelling of multiply charged quantum dot redox potentials", at the ACS National Meeting in New Orleans. 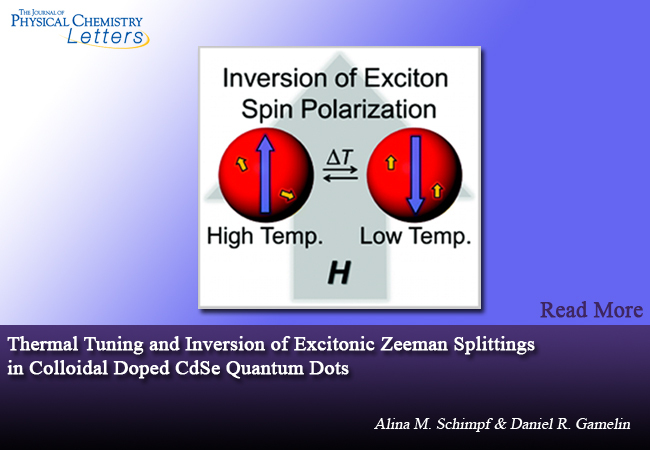 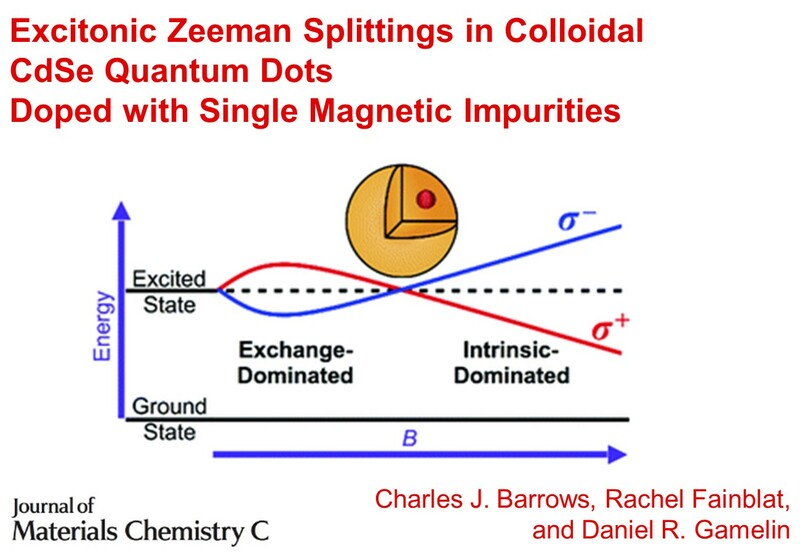 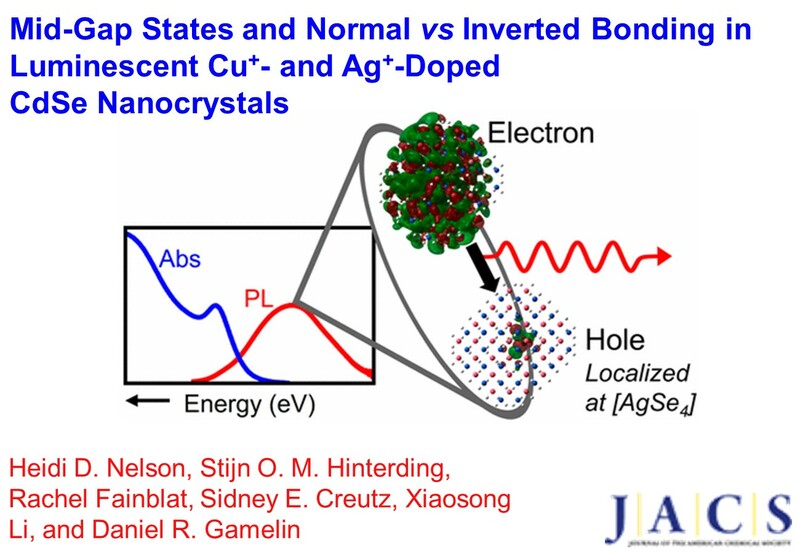 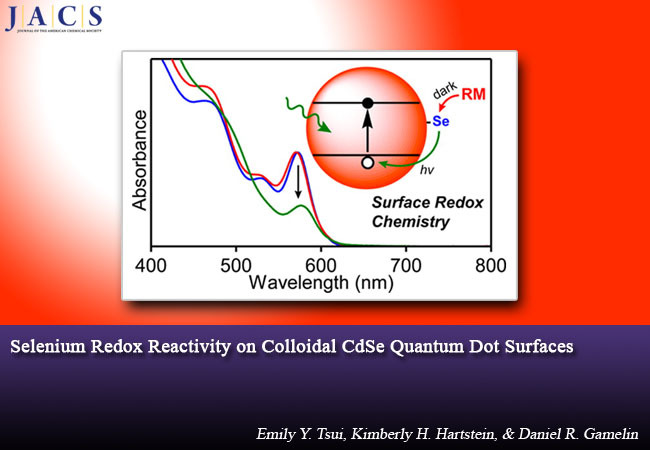 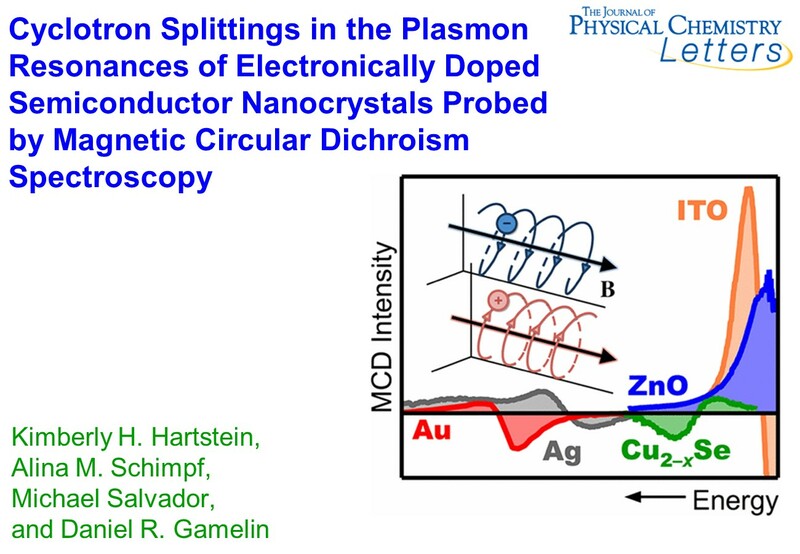 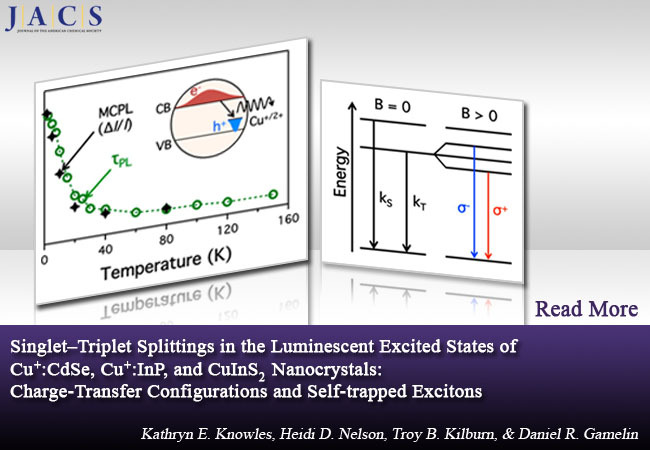 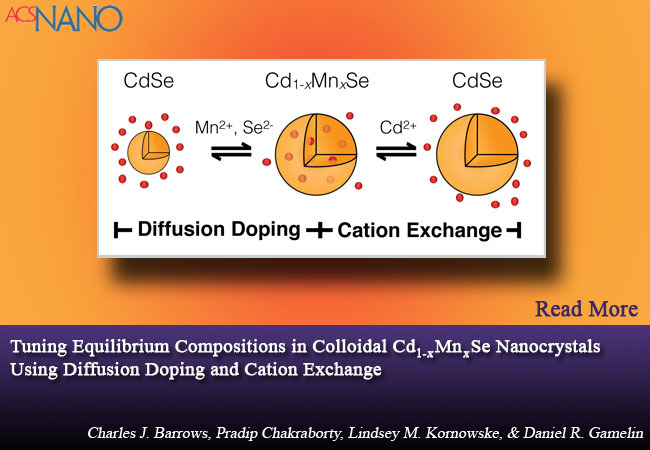 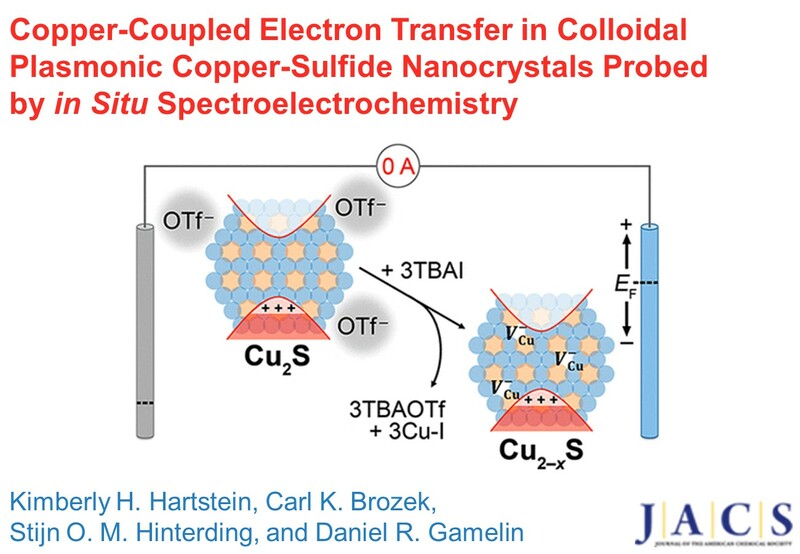 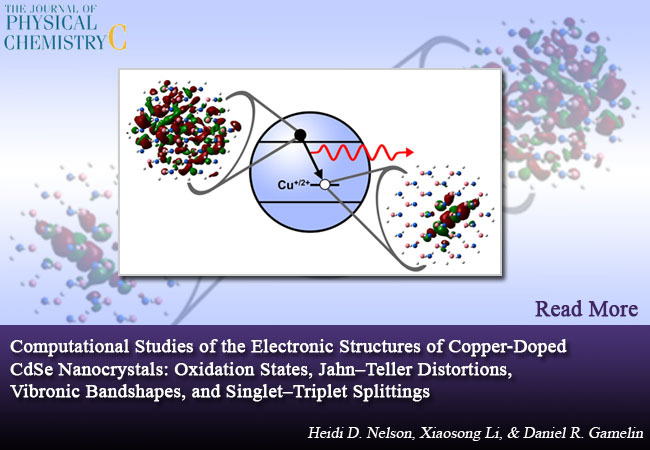 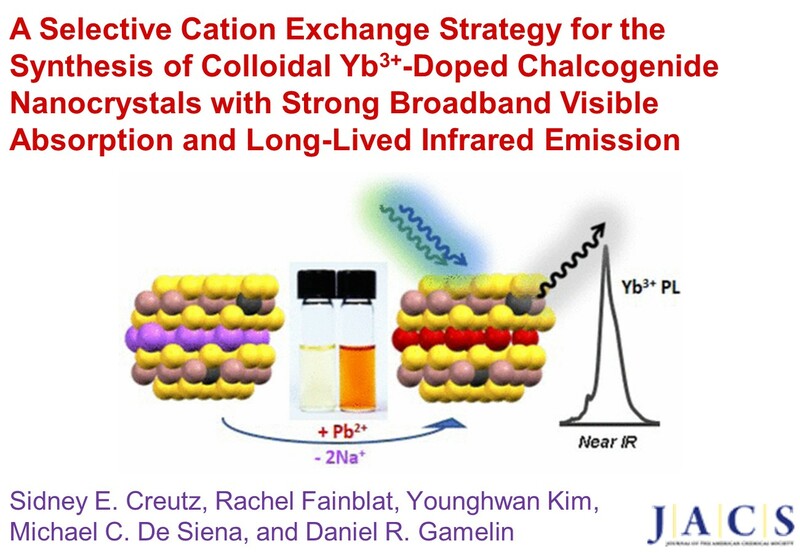 February 2018 Kimberly's paper on copper-coupled electron transfer in copper sulfide nanocrystals is published in JACS. 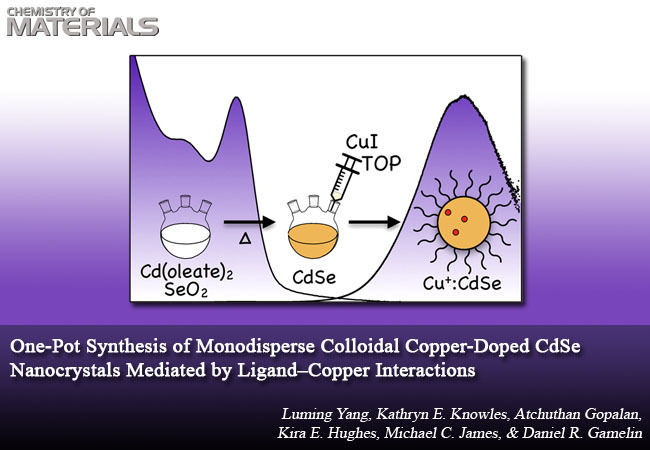 January 2018 First-year chemistry graduate students Kyle Kluherz, Anna Merkulova, and Diana Roh join the group. 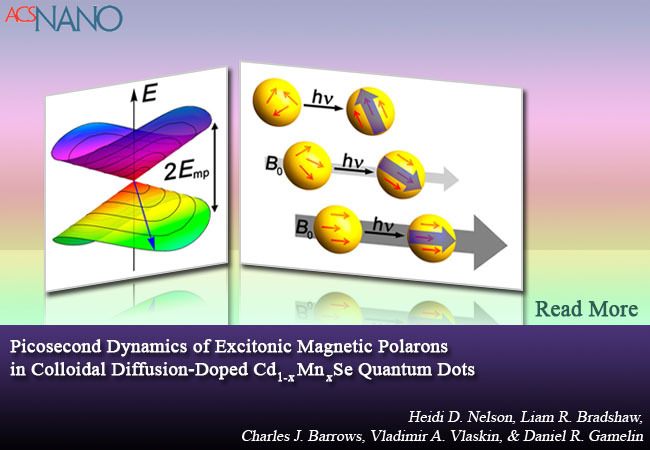 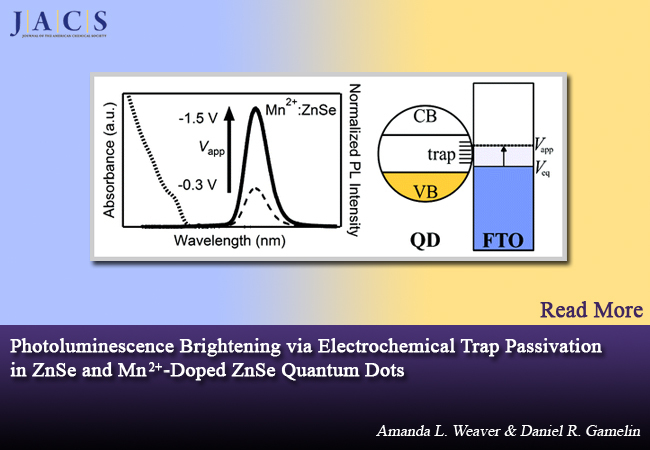 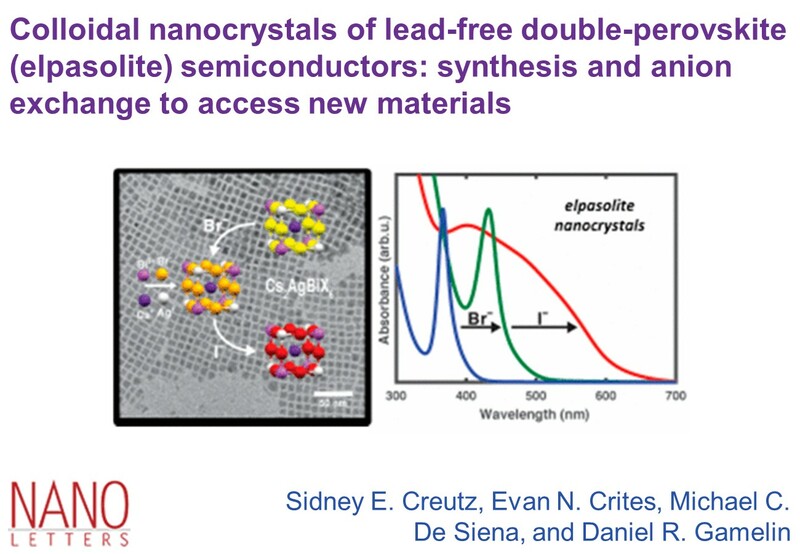 January 2018 Sid's paper on double-perovskite elpasolite nanocrystals is published in Nano Letters. 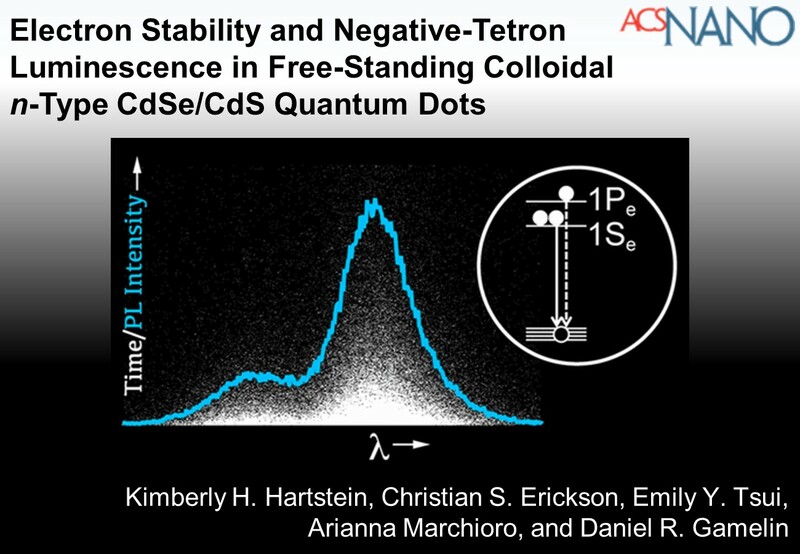 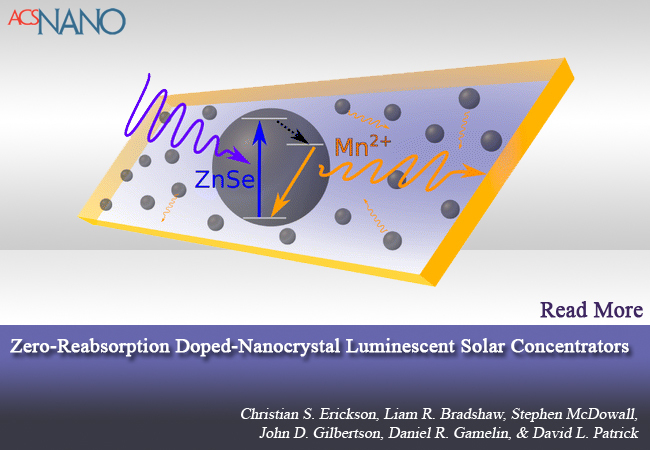 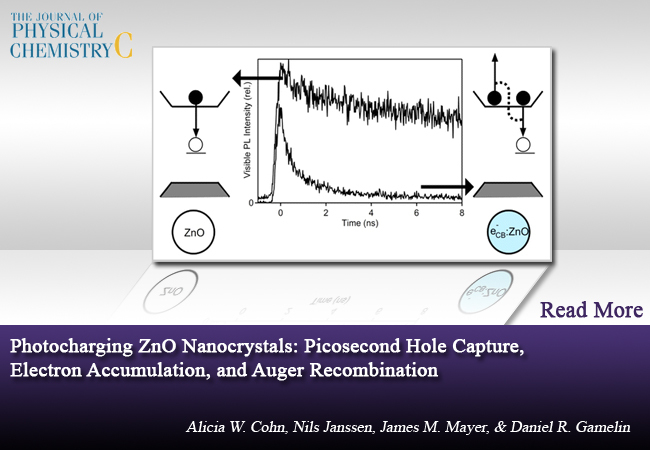 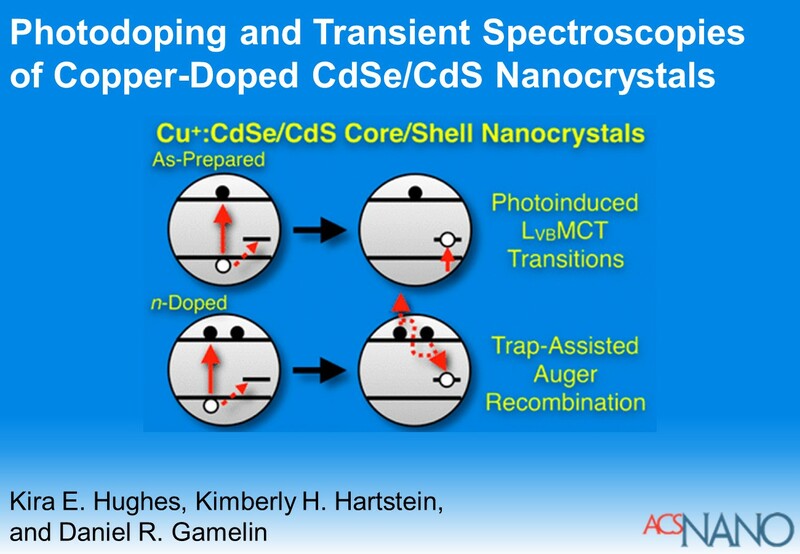 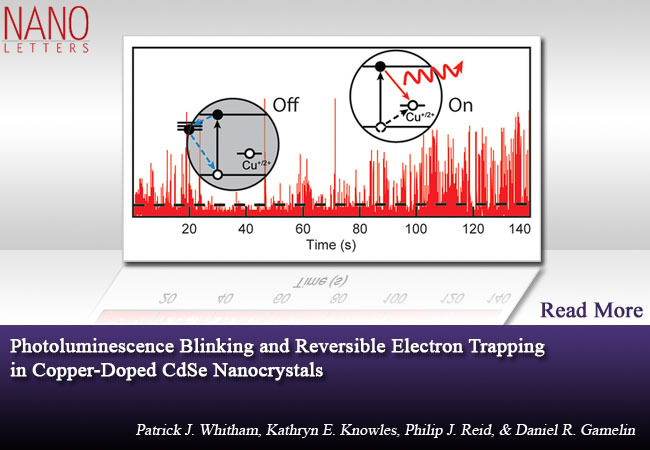 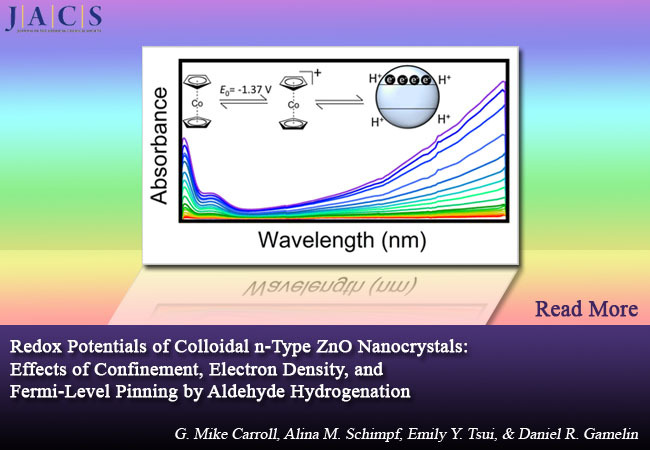 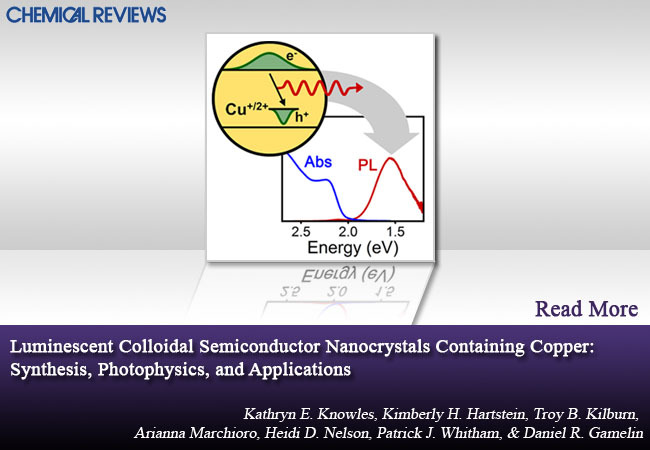 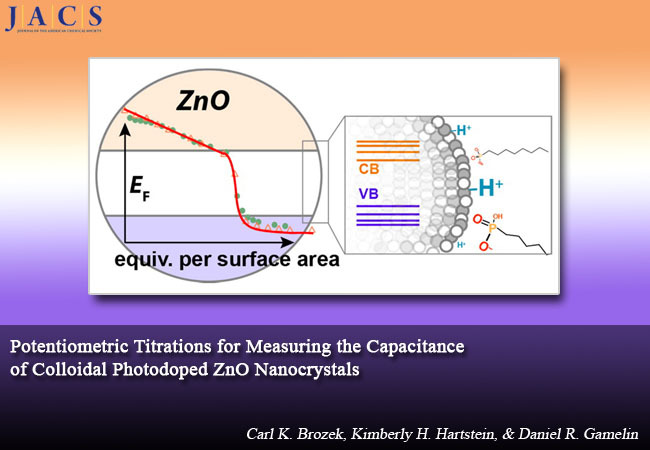 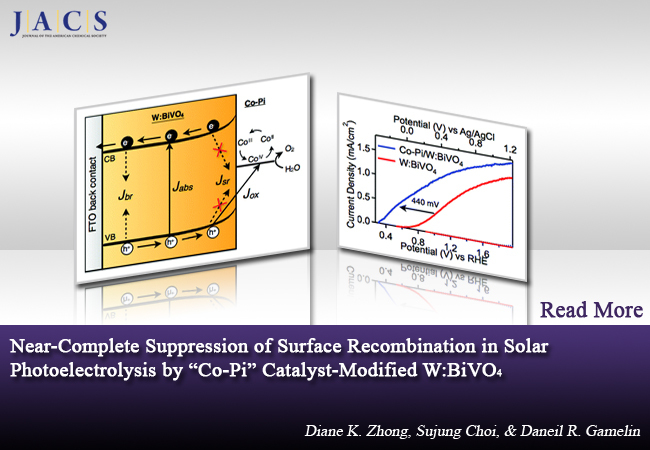 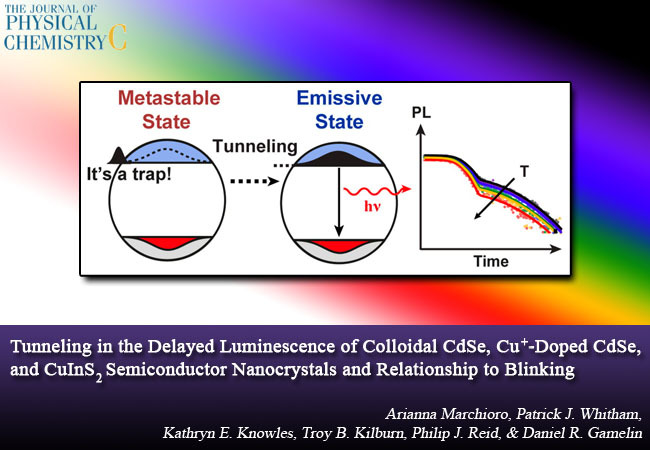 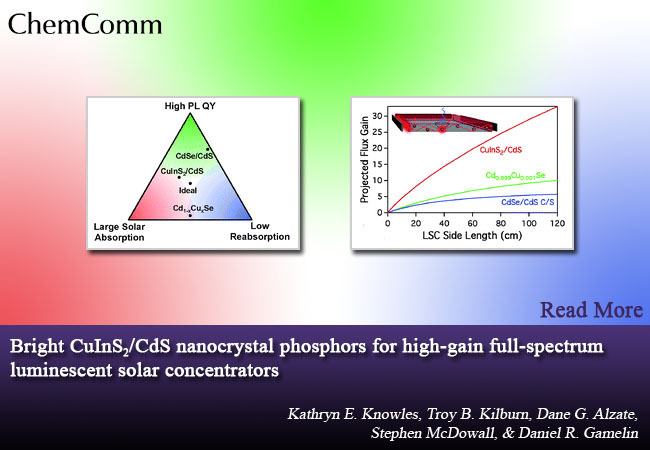 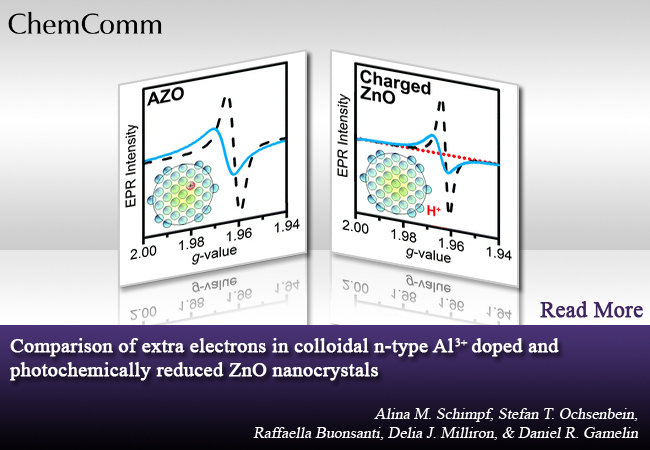 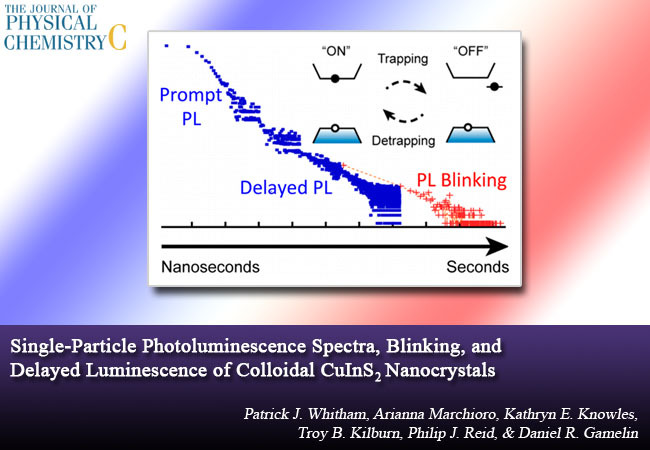 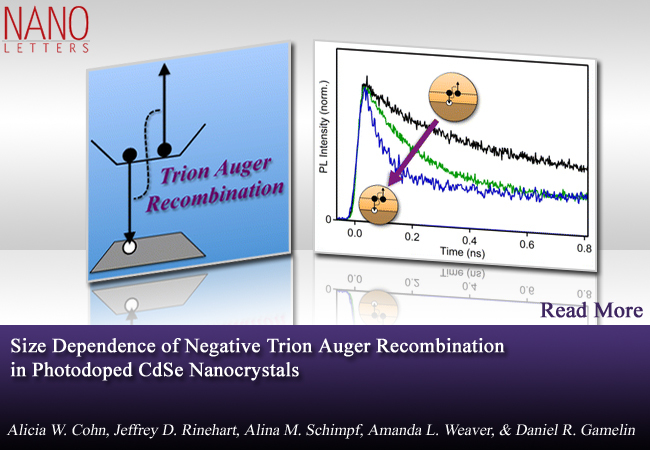 December 2017 Kira's paper on photodoping and transient spectroscopies of copper-doped core/shell nanocrystals is published in ACS Nano. 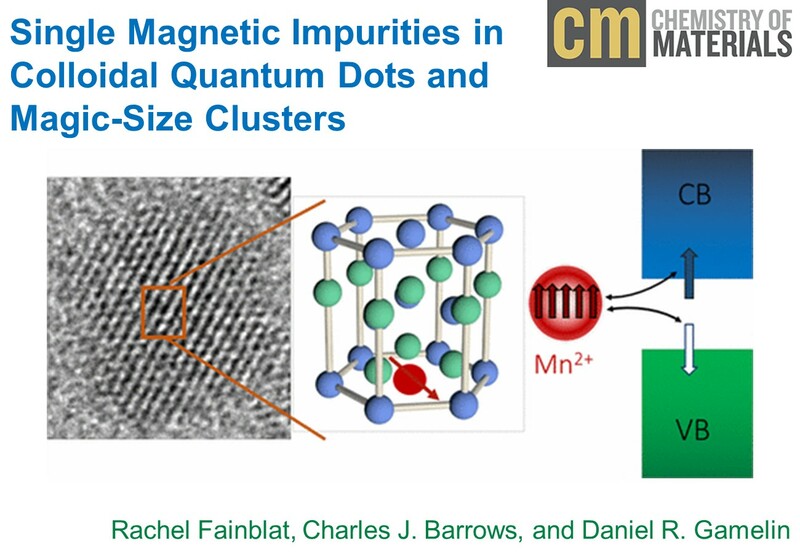 November 2017 The Molecular Engineering Materials Center (MEM-C) website launches. 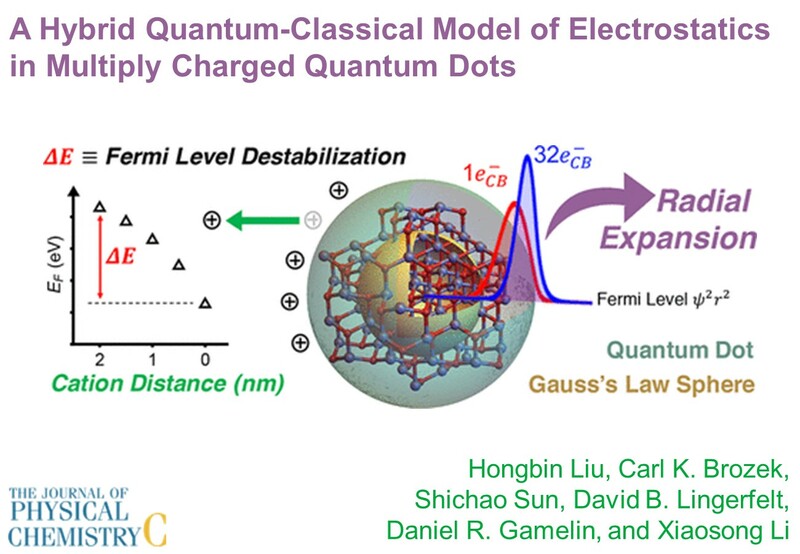 October 2017 Hongbin Liu (Li group) and Carl publish a new paper on modeling electrostatics in multiply charged quantum dots, in the Journal of Physical Chemistry C.
October 2017 New group photo! 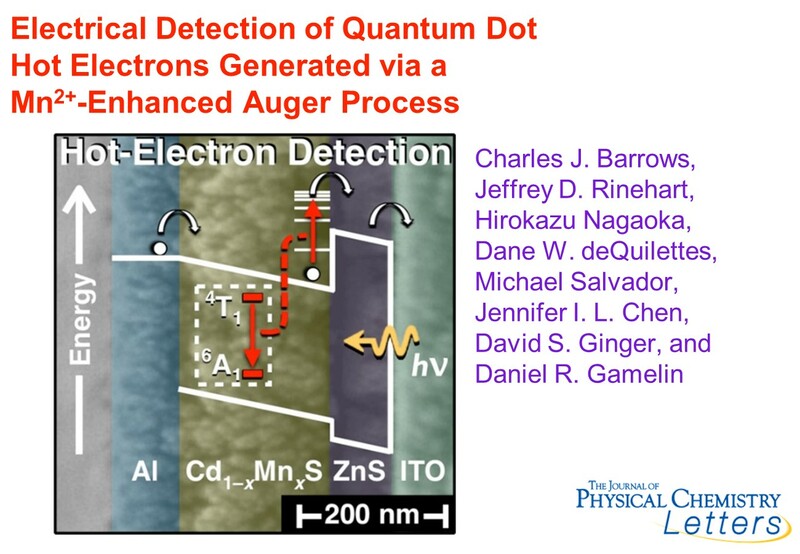 Check out all of our group photos here. 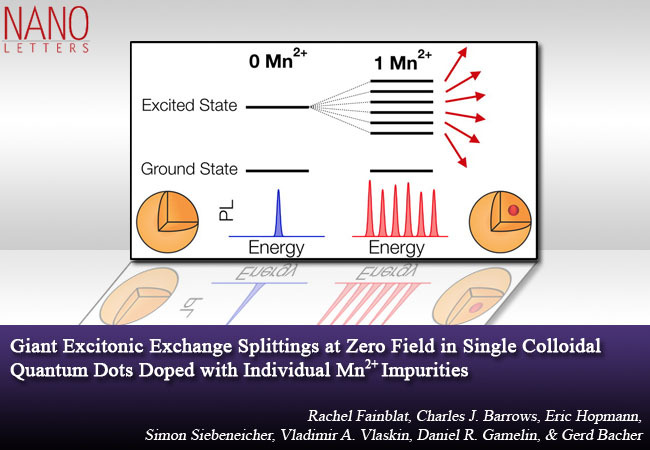 October 2017 Dr. Daniel Kroupa joins the group as a Washington Research Foundation Innovation Postdoctoral Fellow in Clean Energy.